The Howling WolfHeart: Happy Easter! 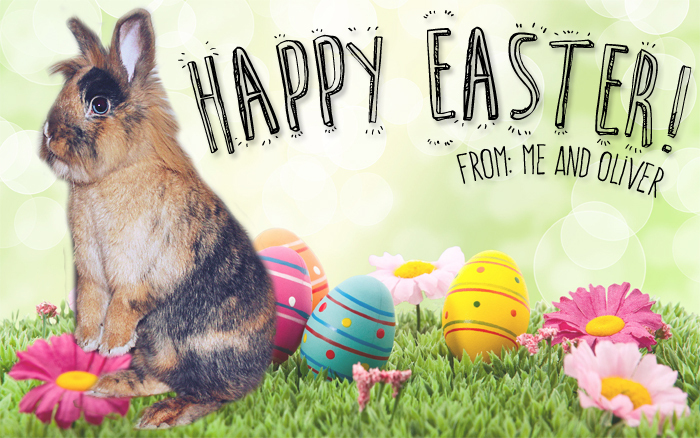 Personally I don't celebrate Easter but me and Oliver want to wish everyone a Happy Easter anyway, of course! I hope you all have a lovely weekend no matter if you celebrate it or not. I'm just going to enjoy my four days off work hopefully not being ill all of it and spend time with hubby. Which is awesome! Har inga planer för helgen, ta det lugnt och umgås med djuren blir det nog :) Firar påsk om jag är hos pappa men här hemma hos mamma bryr vi inte oss om det så mycket.